The wilderness of Southern Labrador in Newfoundland Labrador, Canada is very intriguing when hiking but an aerial picture lets one see how these formations are laid out on the surface of the water. Looking from above, the different colors in the marshlands are easily recognizable as they create a map like picture on the water. 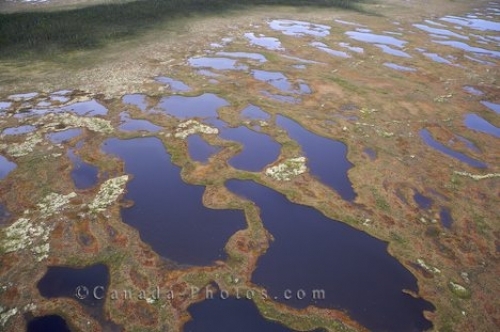 Aerial view of the marshland bogs in the wilderness of Southern Labrador, Labrador, Newfoundland Labrador, Canada. Aerial of the unique formations on the surface of the marshlands in Southern Labrador in Newfoundland Labrador, Canada.